We have a very diverse group of volunteers. 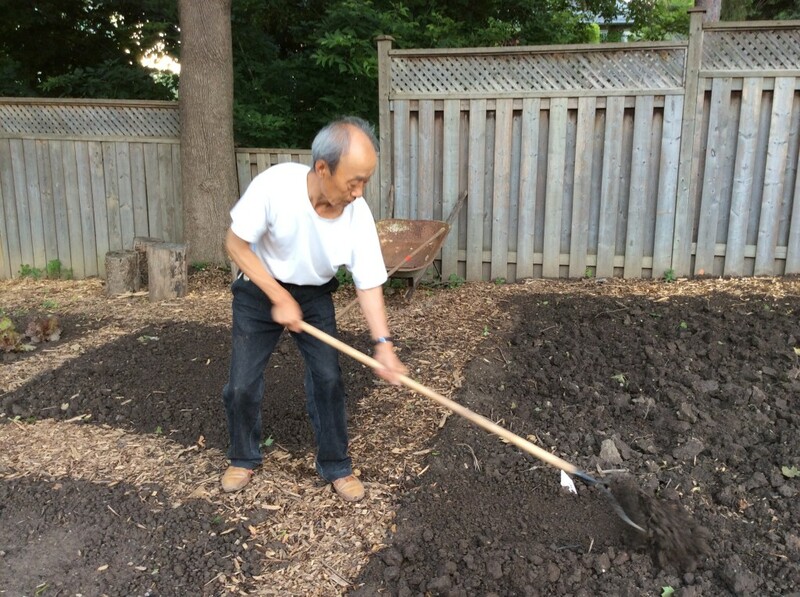 Recently, one of the group leaders was approached by a neighbour who said her father-in-law was visiting from China for several months and he was bored. 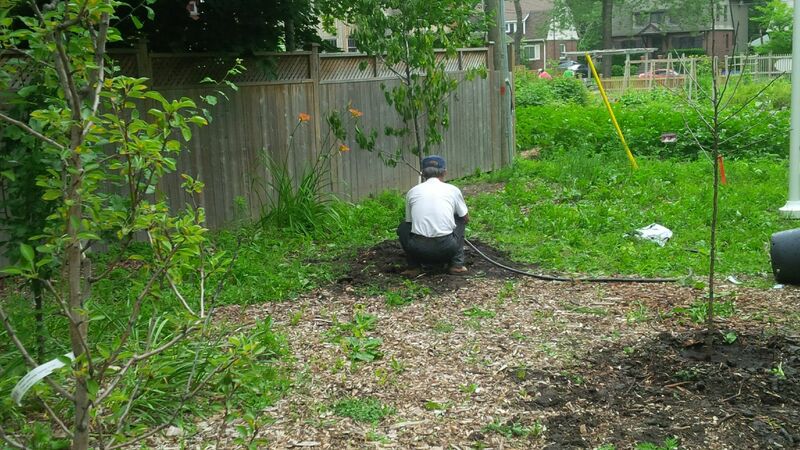 Could he come and help out, but be warned, he speaks no English. So the next day, Ya-Ya (grandfather in Mandarin) showed up with his 11 year old translator/grandson, Jason. His Chinese name is Jia Bao Rong. 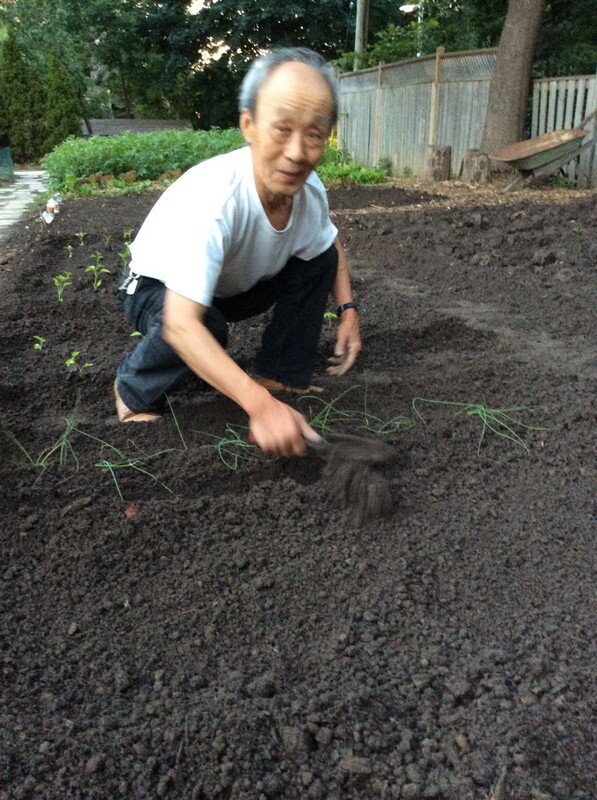 Formalities were exchanged in both languages and it quickly became apparent that not only was Ya-Ya a competent gardener, he most likely is a farmer back home in China. He is Master-class. He quickly went to work with whatever needed to be done. And he came back. Every day. Jason no longer accompanies him, because sign language and the universal language of gardening is more than sufficient. 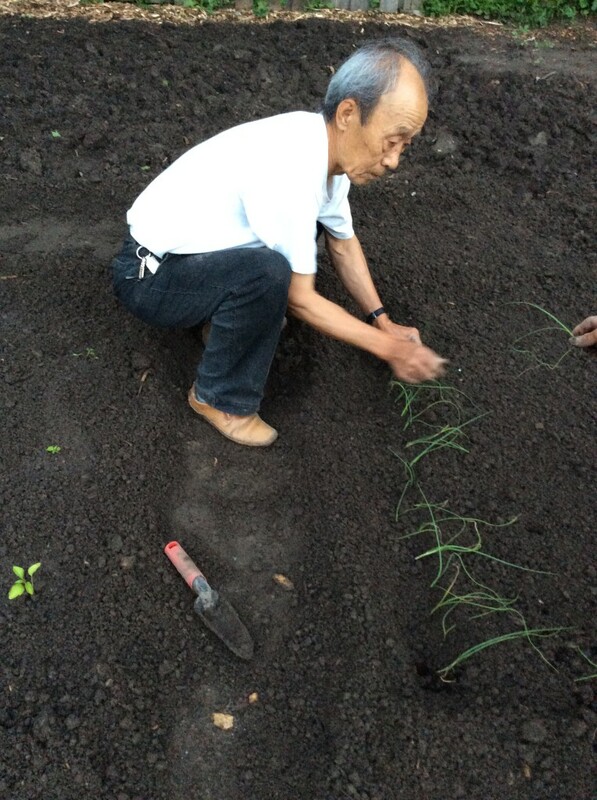 Even without a single language in common, he makes his agreement or strong opinions known to fellow volunteers when it comes to what and where things are planted. We can only hope Ya-Ya is with us right through to harvest time.